The Scottish Fold cat breed had its origins in a barn cat named Susie. William Ross found her in 1961 in Scotland and took her in. Susie, a solid white longhaired female, was bred to other cat breeds such as the Persian cat, American Shorthair cats, Burmese cats and Exotic Shorthair cats. All Scottish Fold cats today can trace their ancestry back to Susie and TICA allows breeders to use the British Shorthair and the American Shorthair in breeding programs. 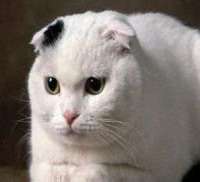 The Scottish Fold cat breed is a medium sized cat breed with a round body and medium boning. They come in literally all colors and patterns and in a long hair and a short hair variety. Grooming is easy with a weekly brushing of the short hair Scottish Fold being sufficient and a brushing twice weekly for the long hair variety. The eyes are round and all eye colors are allowed with copper being the most common color. The face is also round with little ears that fold forward and sit tightly on the head. This makes this cat breed’s face look a little like an owl face. All Scottish Fold kittens are born with straight ears that start to fold between 18 and 24 days. This only happens if they are carrying the gene that causes the ears to fold. Usually about half of the litter of kittens will have normal straight ears and these cats are called straight eared Scottish Folds. 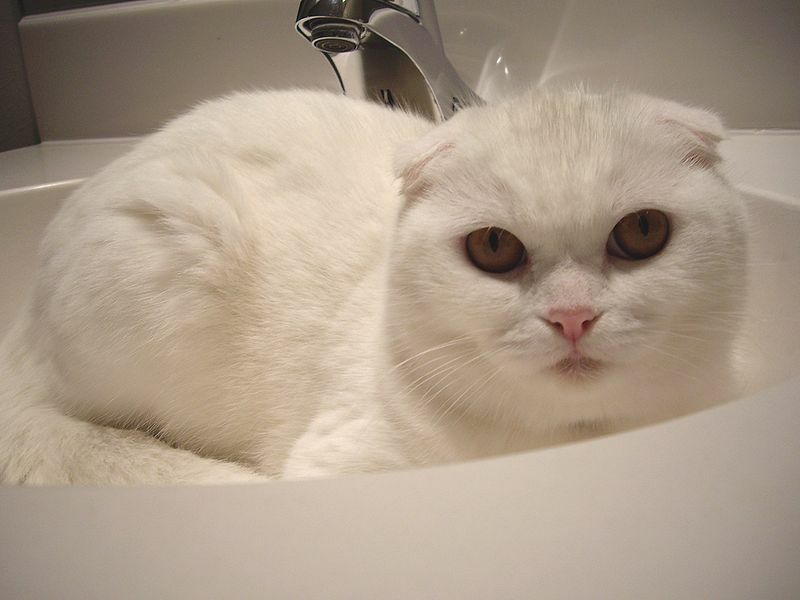 The Scottish Fold cat breed is an intelligent and loyal cat breed. This is a type of cat that will learn tricks such as opening cupboard doors and exploring inside. Once a game of fetch is underway, you will have to confiscate the toy to end the game! 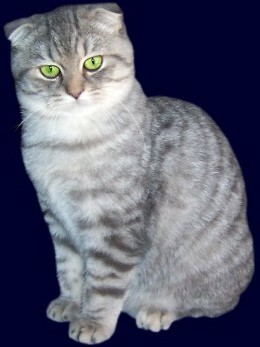 Scottish Folds are not shy cats and will follow you or any visitor all over the house. These cats are good with children and other pets. Some of the Scottish Folds like to drink running water and some can even pick food up with their paws to eat it. One of the funniest things is when a Scottish Fold cat sits up like a prairie dog which they will often do if they hear something that catches their interest. 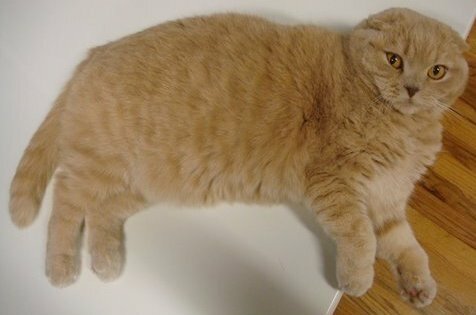 Other Scottish Folds will sit like a human, looking like they are lounging on a sofa!